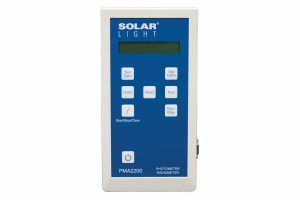 Solar Light’s Model PMA2103 Digital Biologically Weighted Erythema UV Sensor provides an accurate measurement of biologically weighted UV radiation from Solar Light’s Solar Simulators. 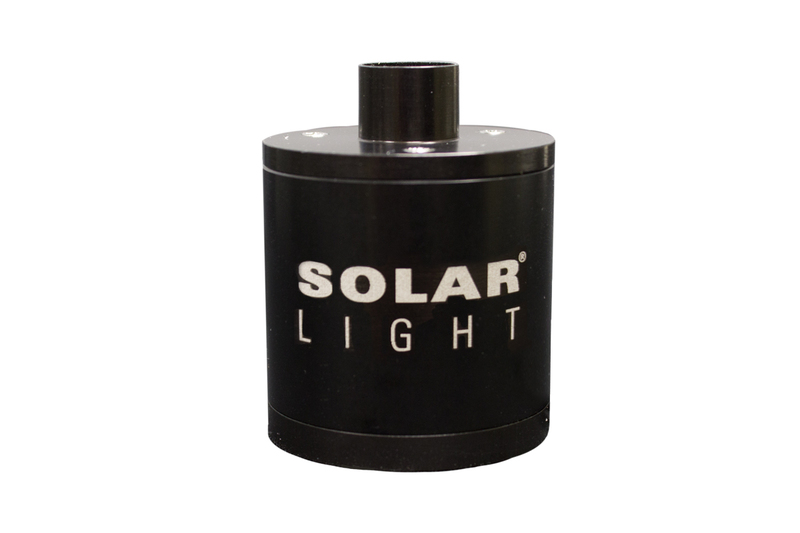 The mounting hardware allows direct coupling with 8mm Liquid Light Guides (LLGs.) 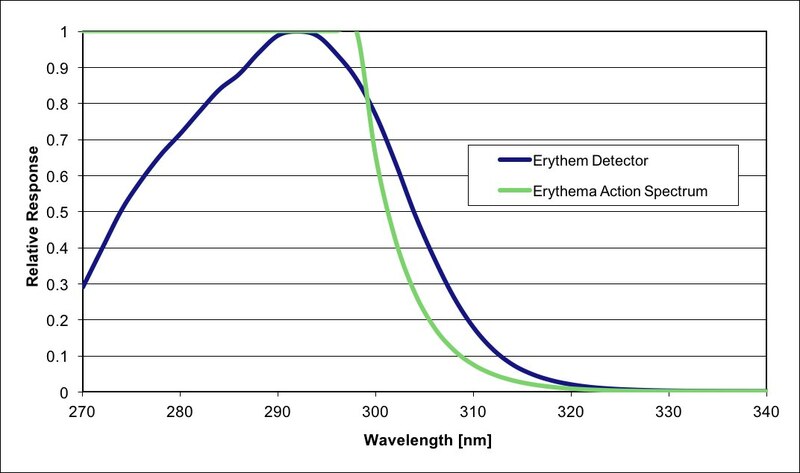 The sensor’s spectral response closely follows closely the Erythema Action Spectrum. A built-in Teflon diffuser assures that the sensor has negligible azimuthal error, making the measurement insensitive to the rotation of the sensor. 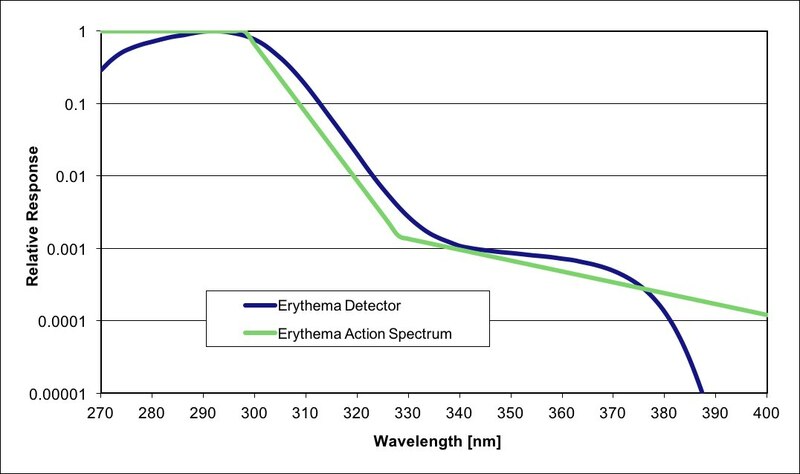 Extended measurement range of 600 MED/Hr enables measurement of intense radiation. 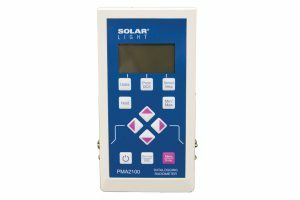 This sensor enables our PMA-Series Radiometers to operate as smart dose controllers/monitors, substantially enhancing the functionality of the Solar Simulators. The MED Calculation Formula (1 [MED/Hr] = 5.833 [µW/cm2]) is programmed into the PMA2103 Sensor, allowing for easy conversion of units. Consequently, the integrated effective dose can be expressed in [mJoules/cm2] or MED. The measurement result can be shown in [MED/Hr], [µW/cm2] as well as a time to accumulate 1 [MED]. High dynamic range of the sensor allows measurements down to 1 [µW/cm2] with the ability to measure radiation as strong as 3.5 [mW/cm2].